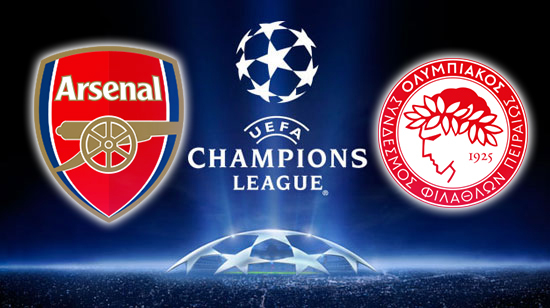 It will be a close match between Olympiacos and Arsenal next week, but the Gunners have the added advantage of knowing their last 16 place is secure. Arsenal will be relaxed going into its next Champions League match and that is probably why the bookies have given them odds of 13/10 to win. However, Olympiacos shouldn’t be discounted; with odds of 21/10 they too have a chance of winning. Earlier this week goals from Jack Wilshere and Lukas Podolski meant that Arsenal beat Montpellier and booked their place in the next round. Laurent Koscielny headed the ball into the cross bar early in the game, but other opportunities to score soon came along. However, it was not all smooth running; Anthony Mounier managed to get past the Arsenal defence, luckily goalkeeper Wojciech Szczesny was able to block his shot from the edge of the box. One the two goals had been scored Arsenal looked very comfortable and condiment and they are likely to carry this feeling with them into the match against Olympiacos. However, they will still be some pressure; a win will place them at the top of the group and secure them amongst Europe’s top seeds for the knockout stages.